Makeup and beauty !!! : REVIEW AND SWATCHES OF COLOURPOP EYESHADOW PALETTE YES PLEASE! REVIEW AND SWATCHES OF COLOURPOP EYESHADOW PALETTE YES PLEASE! 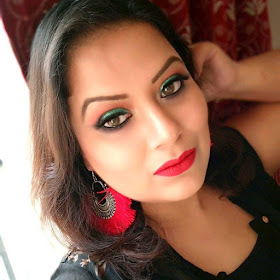 After back to back all lipsticks reviews I know you must be tired seeing my post in my blog so for a change today I am going to talk about eyeshadows. 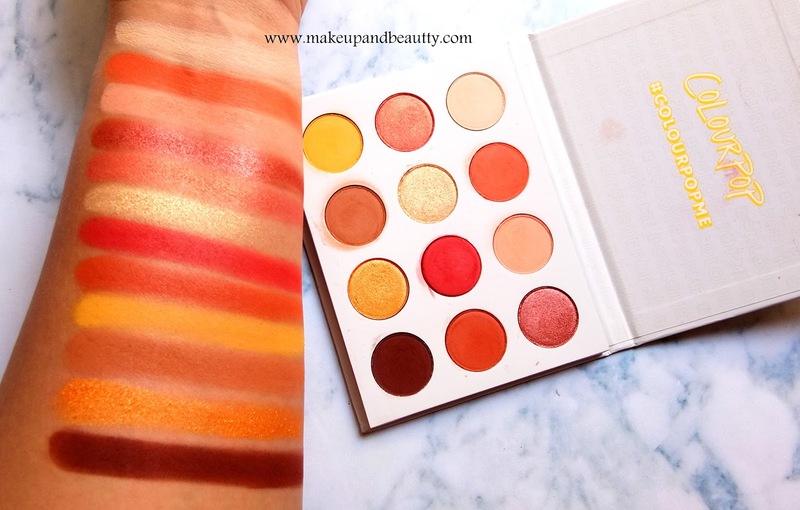 As Colourpop keeps on restocking this palette over and over again and seeing many people going gaga over it I thought I should share my thoughts too regarding this palette. The palette is "Yes, Please! ", a Pressed Powder Shadow Palette. Price:- $18 (Instagram seller price approx Rs.1800 + shipping). Availability:- Colourpop website here , Instagram seller stores. The original fixed 12 pan palette is all about that golden hour glow - the hottest shades inspired by our fave time of the day. Application Tips: Apply with your favorite shadow brushes. Flat and firmer brushes will give the most color payoff. Fluffier brushes are great for blending. Use a small angled brush to line the eyes. The palette comes in a yellow carton box whereas the palette itself comes in a white matte cardboard packaging. The palette has no mirror or brush include with it. It has the magnetic closure. As the palette is white so regular use of eyeshadows tends to make it dirty easily and due to matte packaging it is little hard to clean it properly. The palette is sleek and thin (not bulky one like urban decay one) and had a square shape for which it occupied a very small place in my stash. The palette has a mixture of 12 Metallic and matte shades. All the shades have buttery texture along with that all are super pigmented. 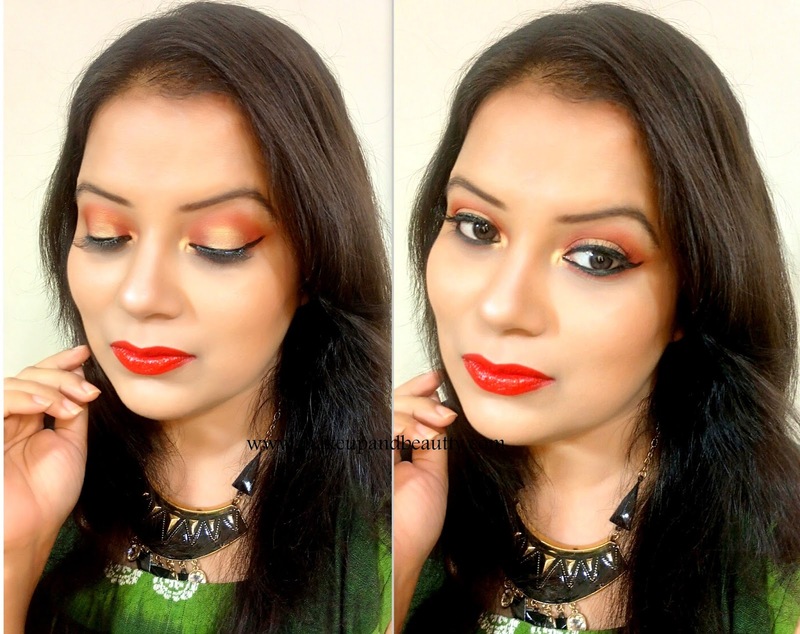 The matte shades although have some minor fallouts but the metallic shades have no fallouts. The metallic shades work equally good with a dry or wet brush. The eyeshadows stay forever on my lids until and unless I remove it with a makeup remover. 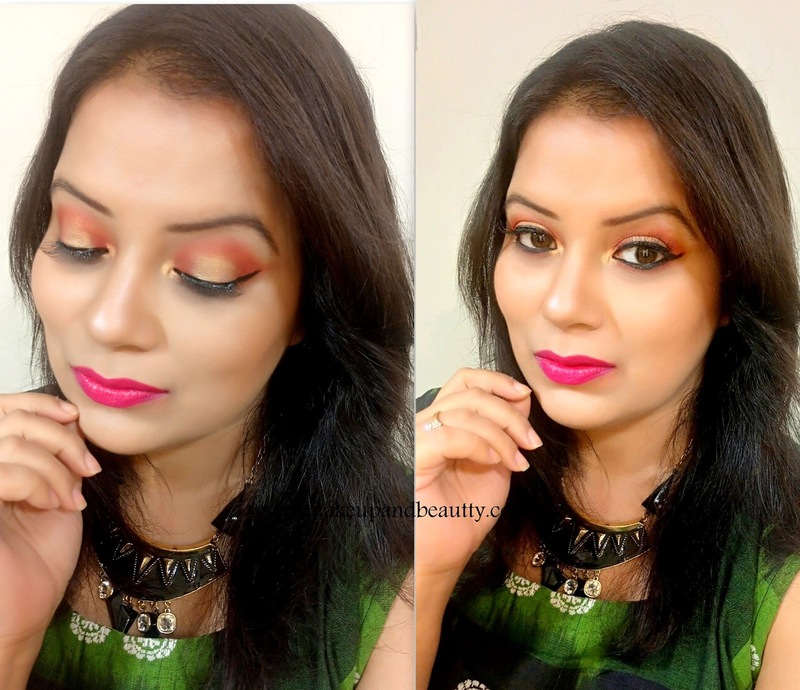 All the eyeshadows can be applied on waterline area too as there is no such irritation caused by them. The palette has a mixture of both lighter and darker shades for which it is a perfect DAY and NIGHT palette. In short, if you are not an eyeshadow person and just want one palette for your stash then this is just perfect for you. Although I feel an absence of a black shade in this palette which always makes any palette complete. But there is a dark brown shade in this palette which I think will work great instead of usual black shade. I created a halo eye makeup look using this palette which will go perfectly in any night occasion. I love love love love this palette 😍😍😍😍😍😍😍😍😍 gorgeous eyeshadows.